The parka is made of laminate material and has raglan style barrel sleeves with waterproof underarm ventilating pit zippers. It has a waterproof one-way front zipper concealed by a welt, a permanently attached roll up style hood design (stowed in the collar). 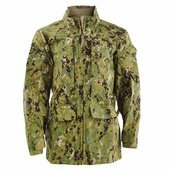 The parka also contains two upper chest pockets with concealed water resistant slide fastener openings, two lower pockets with flaps, concealed hand warmer pockets, adjustable wrist tabs, and a rank/rate insignia tab on the outside. Concealed inside the two lower pockets are adjustable waist draw cord closures with barrel locks and an inside hanger loop. Close zipper at least 3/4 of the way. 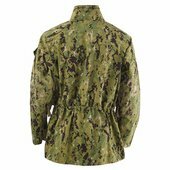 The parka is authorized outer wear worn with the matching pattern NWU. It is designed to be worn with or without the detachable black fleece liner. 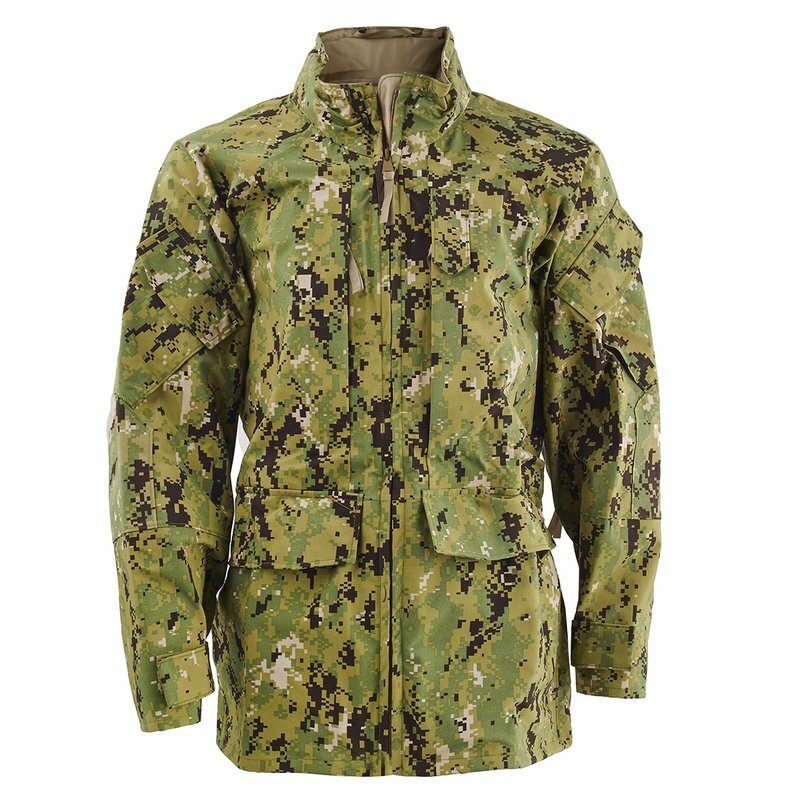 Puncturing, pinning, or sewing items to the parka’s shell is not authorized, as this will degrade the parka’s waterproof characteristics. Parka hood stowed unless being donned.